Tuxedo Black Metallic exterior and Dune interior. CD Player, Bluetooth, Smart Device Integration, Brake Actuated Limited Slip Differential, Alloy Wheels, TRANSMISSION: 6 SPEED AUTOMATIC W/SEL... iPod/MP3 Input, Satellite Radio CLICK NOW! Great Gas Mileage: 34 MPG Hwy. 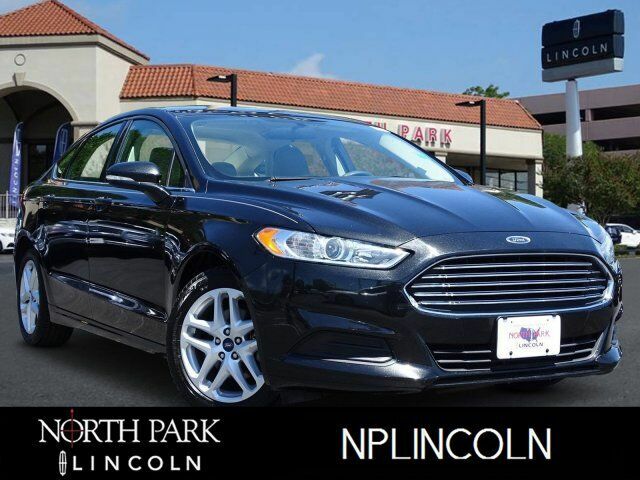 Edmunds.com explains With solid power, excellent fuel economy, provocative styling and a huge array of tech features, the 2014 Ford Fusion is a top choice for a midsize sedan..